We have been a family of farmers since 1963, when Daniel’s father Jack bought the first parcel of land up the road after searching for years to find a farm with just the right soil. Over the past 50 years we’ve added more space to the Oles Family Farm, where four generations of us now tend to lush fields full of fruits and veggies, a 600-tap sugarbush, and active pastures where our animals graze. In the mid-1980s we began to share our harvest through a roadside stand, starting with fall pumpkins and expanding over the years to include all manner of produce. 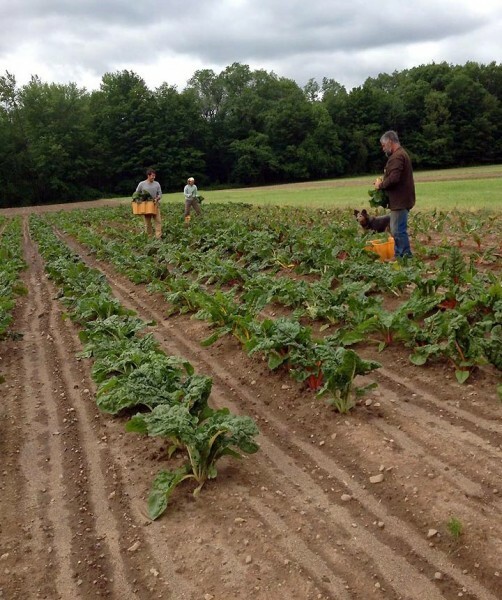 In response to growing interest in our fresh fruits and vegetables, in 2008 we began to offer summer community-supported agriculture shares through our Promised Land CSA, adding a winter version in 2013. We incorporated livestock to the farm over the last in five years, providing responsibly raised proteins to our members. Currently meat shares are on hold due to labor constraints but we hope to be able offer them again in the future. The community of people fed by the food we grow now includes over 250 families who participate in our CSA, plus countless participants and patrons who are introduced to us through our community and restaurant partners.